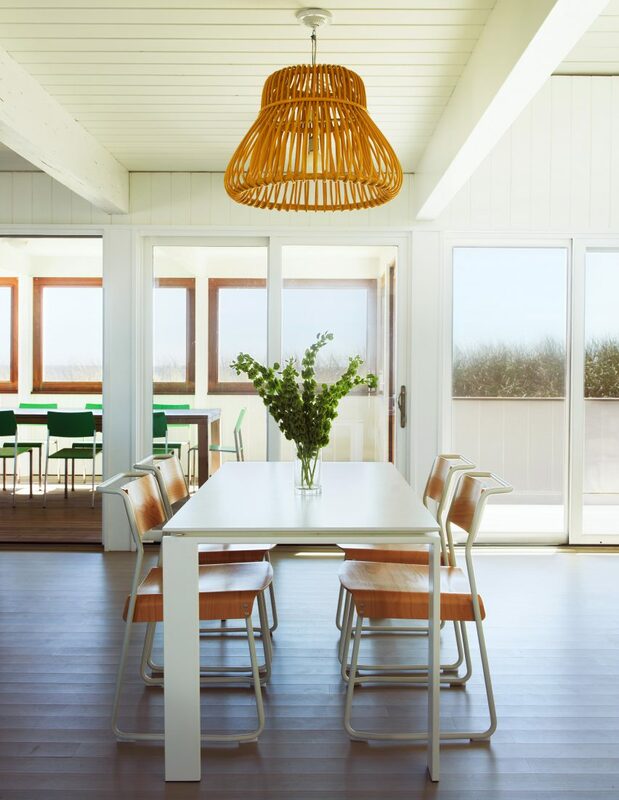 This house on New York’s Fire Island escaped Hurricane Sandy unscathed, despite its exposed beachfront location, thanks to an overhaul from Delson or Sherman Architects. 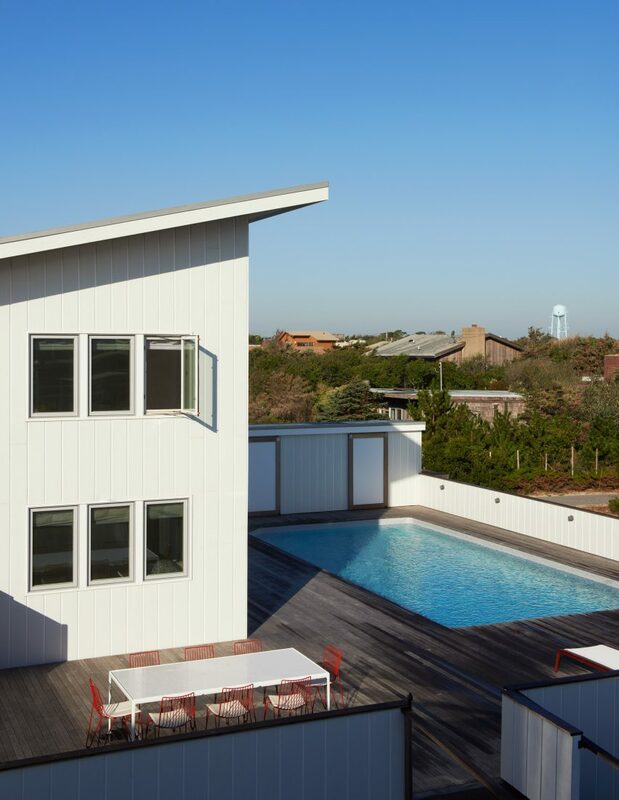 Updates to the Fire Island House were completed just before the Category 3 storm struck the US Eastern Seaboard in 2012. The barrier islands along the south of New York’s Long Island were some of one of the worst affected by the hurricane, which in total caused $70 billion worth of damage. But Brooklyn firm Delson or Sherman Architects added features like vertical cement siding, rust-proof metal roofs, and impact-resistant windows to the building to ensure its shell is sturdy. 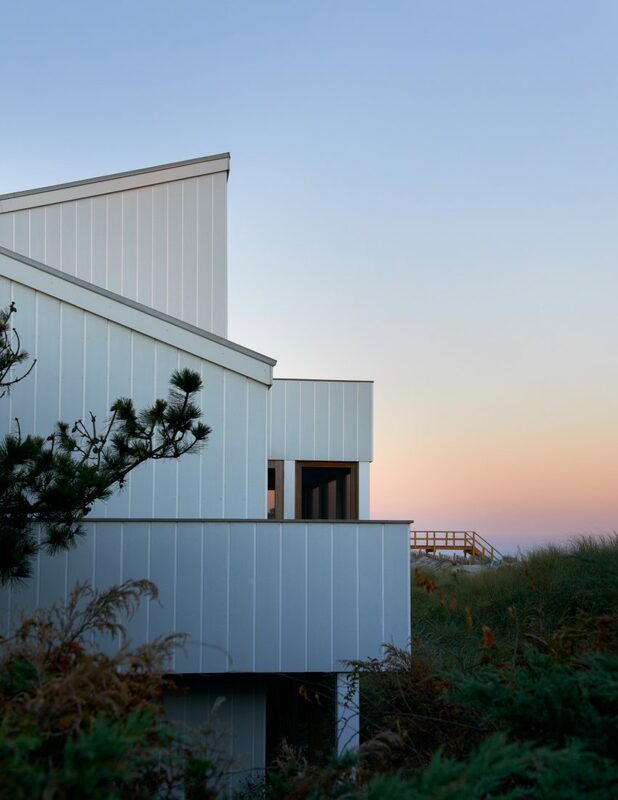 “Though the house is only a few steps from the Atlantic, it rode out the storm unscathed thanks to the upgrades,” said the studio, founded by architects Perla Delson and Jeff Sherman. 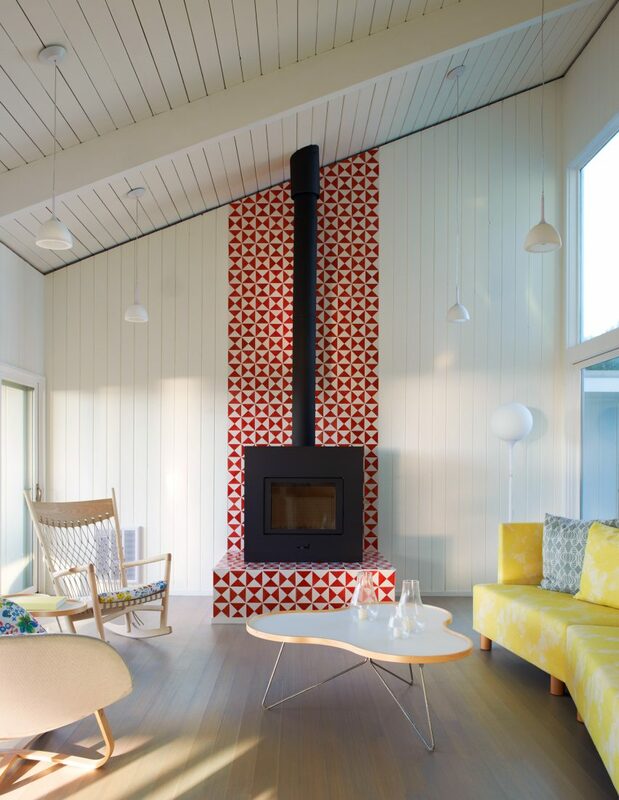 Approached by the home’s owners to renovate the property, the duo was attracted to the project by the challenges faced by building on Fire Island, which they described as “a difficult place for a house”. The barrier island is an ever-shifting sand bar, which is constantly battered by wind, rain and ocean spray that quickly corrode and rot the construction materials. 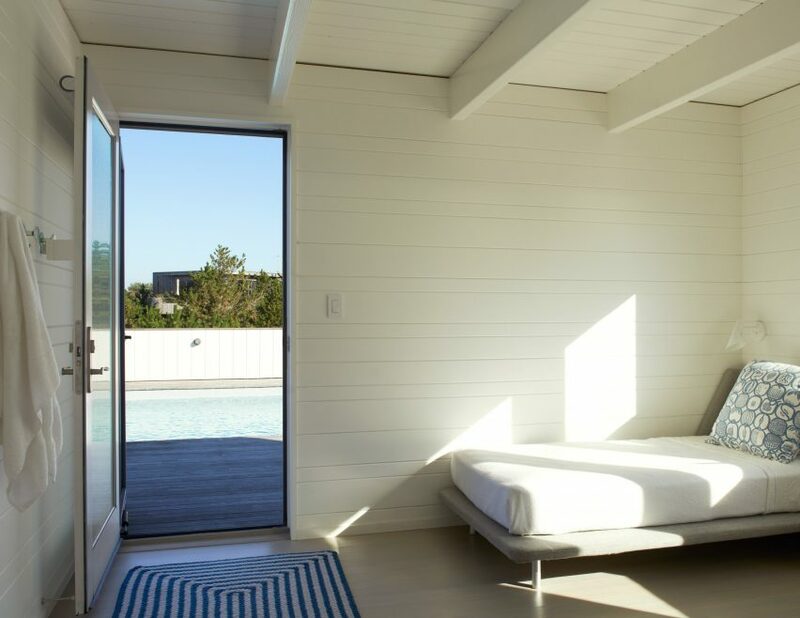 Work entailed rebuilding the swimming pool and deck on tall wooden piles, to bring them level with the ground floor. The interior was then reconfigured to provide better access from the living areas to the terrace, which was wrapped with a barrier for privacy. A wing was added upstairs to accommodate kids’ bedrooms, a bathroom, and a laundry room, accessed via a new staircase that splits to also reach the master suite on the other side. Throughout the interior, the decor is kept light and bright. 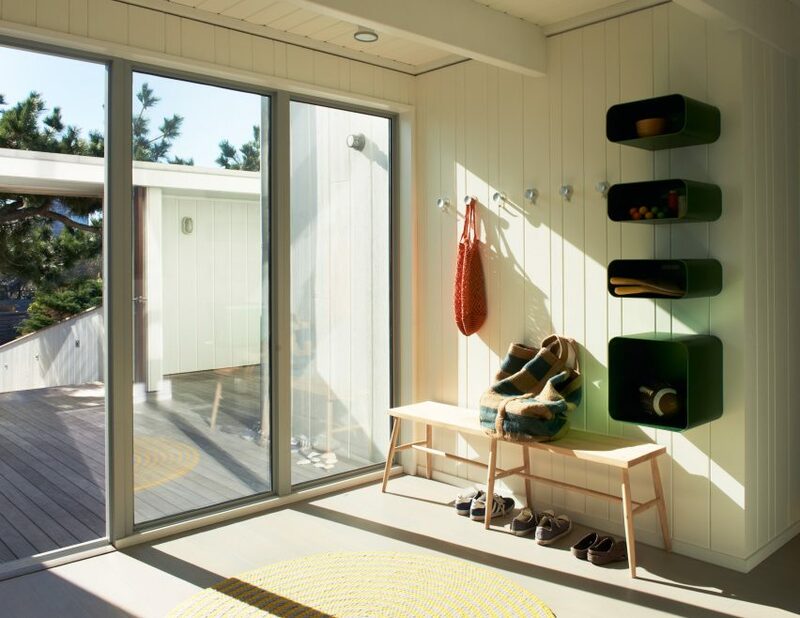 Whitewashed fir boards cover most of the surfaces that aren’t glazed, and a diverse array of furniture pieces that include several mid-century designs add colour. 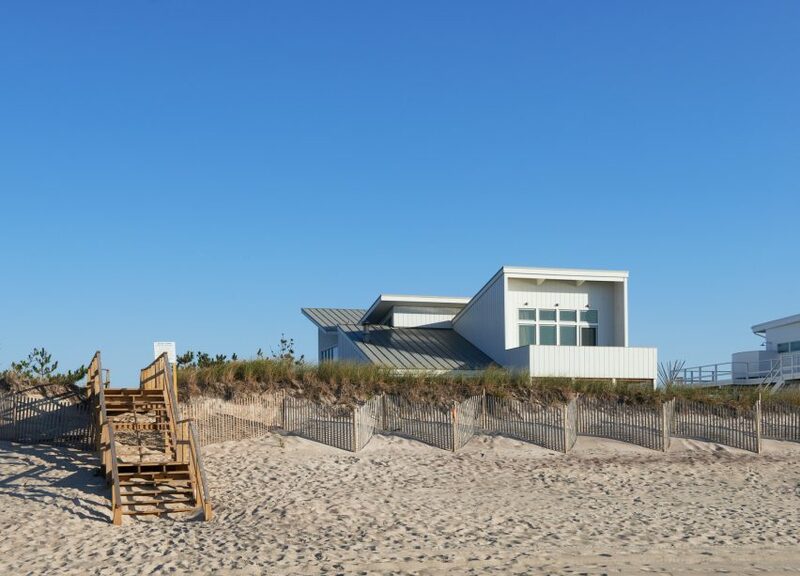 If the weather wasn’t enough of a challenge, the architects also had to deal with working in a national preservation area, adhere to beach-proximity limits set by the Federal Emergency Management Agency (FEMA), and follow several other local regulations. On top of these, the project had to be completed in phases over two winters, as construction is forbidden on the island during the summer season. Fire Island stretches approximately 31 miles (50 kilometres) along the Atlantic, and is divided into several beach communities that are frequented when the weather is fair. 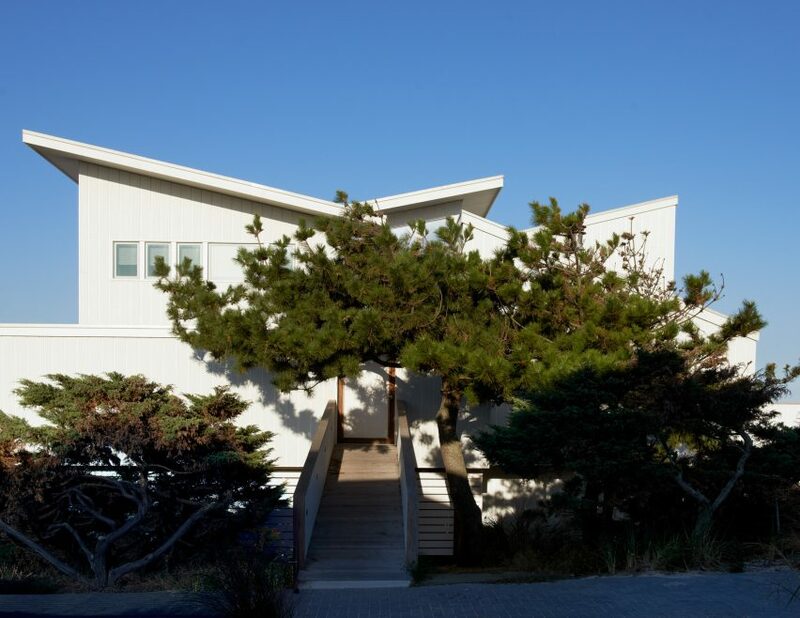 Among these is Fire Island Pines – a popular gay resort – which boasts an impressive collection of modernist architecture, and a nightclub that was resurrected by HKWN after its predecessor was destroyed in a fire.